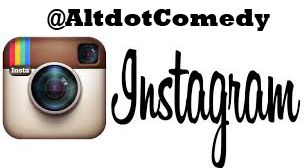 For over two decades, the ALTdot Comedy Lounge has been Toronto's premiere showcase for local talent and favourite spot for comedians. 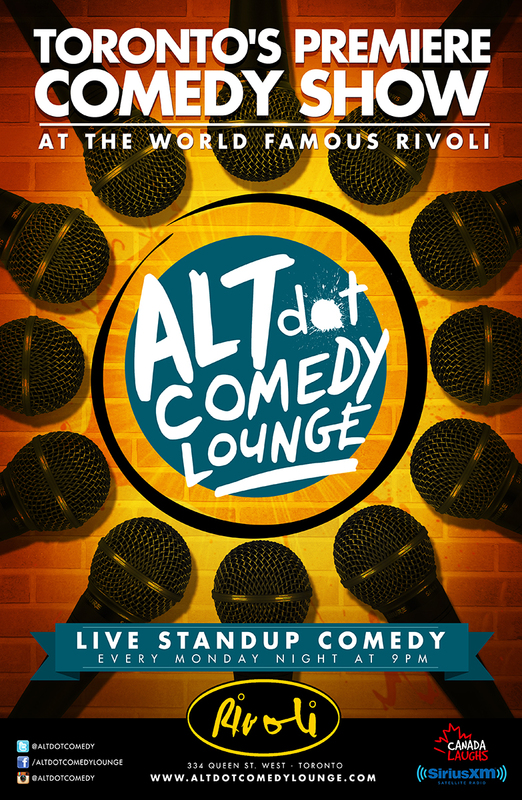 Located at the world famous Rivoli, the ALTdot encourages alternative, new, and untraditional material in a comfortable, cabaret atmosphere. The ALTdot Comedy Lounge broadcast on SiriusXM's Canada Laughs - November 30, 2018. 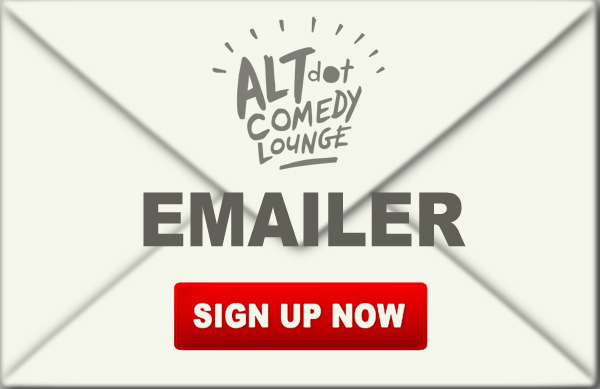 Click Here to Sign up for our weekly emailer to be updated on the latest show listings and special events. The ALTdot Comedy Lounge broadcast on SiriusXM's Canada Laughs - November 16, 2018. 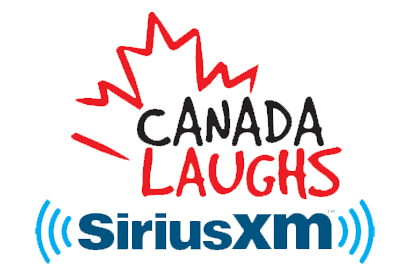 The ALTdot Comedy Lounge broadcast on SiriusXM's Canada Laughs - November 9, 2018. The ALTdot Comedy Lounge broadcast on SiriusXM's Canada Laughs - October 26, 2018. The ALTdot Comedy Lounge broadcast on SiriusXM's Canada Laughs - October 19, 2018. The ALTdot Comedy Lounge broadcast on SiriusXM's Canada Laughs - October 5, 2018. The ALTdot Comedy Lounge broadcast on SiriusXM's Canada Laughs - September 28, 2018.